Since the January 15 application deadline, Whitman College’s Admissions team has been hard at work turning a 10-year high in applications into bodies in classrooms next fall. In pursuing this end, Vice President for Enrollment and Communications Josh Jensen and his team have totally changed the experience for admitted students. The differences, however, are not merely cosmetic, and they help shed light on how Whitman is responding to national demographic pressures as the number of graduating high schoolers across the country declines. After January 15, the Admissions team reads and reviews until March 1, when acceptance letters are sent out. This date is three weeks earlier than in years past, and reflects the changing strategy with which Whitman is pursuing students. The final step is May 1, the national deadline for students to make a decision about their collegiate future. 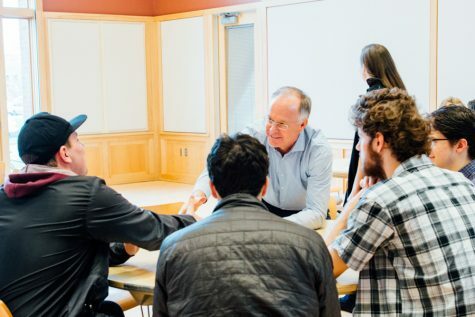 Between May 1 and July 1, the start of the fiscal year, Whitman learns more about which students they will lose to other schools, and which students they will accept off the waitlist. The hope is that the changes in this years process will produce a higher yield. So far, it seems to have worked. Four-hundred and sixty-five students have enrolled to attend in the fall. Though that number is subject to fluctuation as some students change plans during the summer, Jensen is confident that it provides enough cushion to guarantee 425 students next fall. He credits some of this success to the changes in the admissions process. “This year we pulled a lot of levers,” Jensen said. The first involved financial aid. Jensen noted that for many students considering schools comparable to Whitman, a generous financial aid package can be the deciding factor. 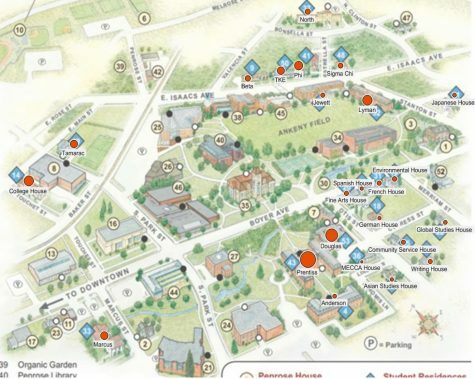 By reallocating roughly $3.9 million to financial aid, Whitman hopes to make itself more attractive to admitted students. The second lever is in communications. “We moved our timeline up by three weeks. On our end, that means three more weeks in which we can communicate with admitted students. This gives us the chance for both more frequent and more personalized communications. We want to get to know what our admitted students are thinking, and help them see what Whitman has to offer,” Jensen said. One of the most noticeable changes is the box that students now receive after being accepted. In years past, students were sent Walla Walla sweet onions upon placing a deposit. This year, the onions are preceded by more Whitman apparel. “We have always done the onions after you said yes, now we are trying to do something earlier to get you to say yes,” Harvey said. The box is brown cardboard, filled with assorted paraphernalia including a Whitman College water bottle and stickers. The stickers represent various aspects of student life on campus; “Blue shirts for the win,” “Lakum Duckum,” and the like. The hope is that this increased attention during the decision process will help Whitman return to full enrollment. Whitman is currently trying to dig itself out of under enrollment that generated financial ire at the beginning of the 2017-2018 school year. Jensen sees Whitman’s struggles as indicative of a larger trend within higher education. “In order to understand how Whitman fits into the ecosystem of national colleges, you have to look at these demographic trends in the United States,” Jensen said. “How many students are graduating from high school? How many of those students are going to college? When we look forward to the next 20 years, it is not going to get any easier any time soon,” he continued. Part of Jensen’s job is constantly thinking in 36-year increments. What is happening now and how can it be explained by events 18 years ago that would impact people’s choices to have children, what is happening now and how will it impact admissions 18 years down the road. “In 2008, lots of Americans who might otherwise have had children decided not to. In past recessions, those folks might have just had babies later, but what we saw is that a lot of them didn’t have children at all,” Jensen said. In terms of Whitman’s enrollment struggles, that means that the problem is likely to get worse before it gets better. The Western Interstate Commission for Higher Education predicts that the decrease in high school graduates will right itself around 2020, increase to an all-time high of 3,561,051 before taking a nosedive right around 2026; 18 years after the crisis. Though Jensen is confident in the work that Whitman’s Administration has done and continues to do, he acknowledges the threats posed by these demographic changes.